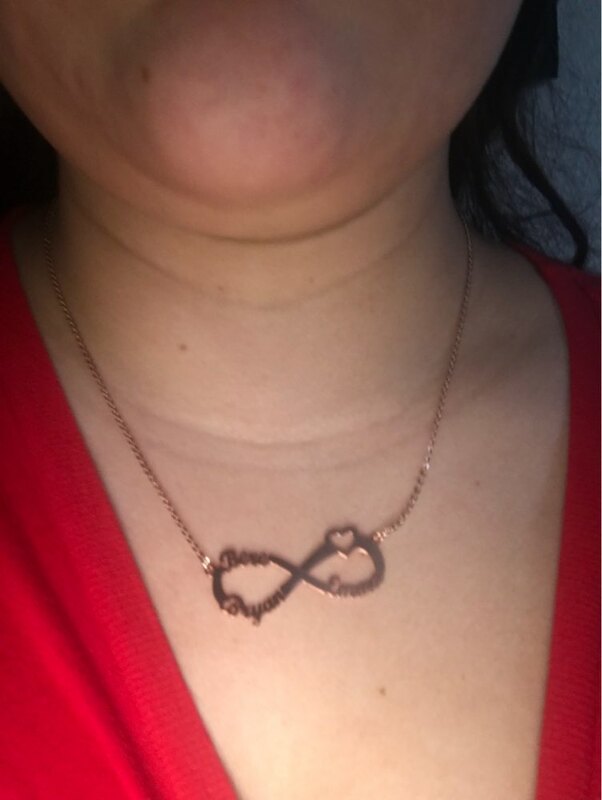 This Personalized 3 Names Heart Infinity Necklace is one of our many unique personalized infinity necklaces where you can choose anything you want to type on. 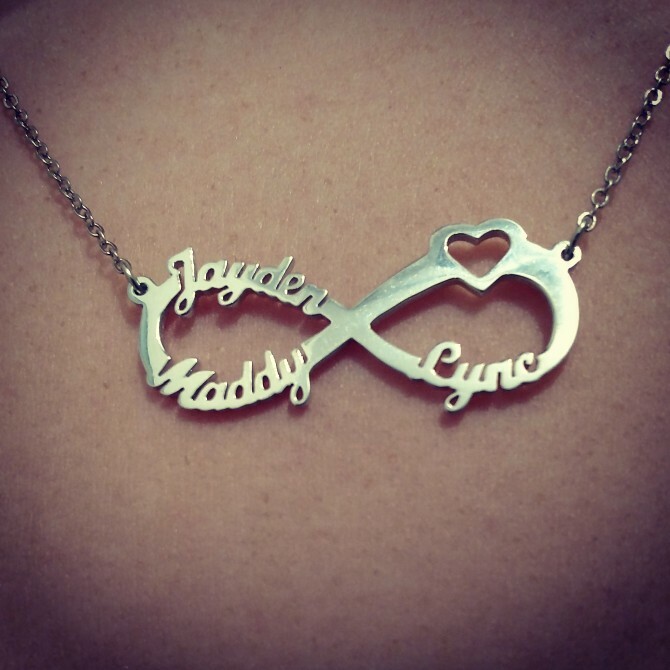 For example, type your and your lover, buddy, or family member name. That would be the most wonderful gift in the world. Please, leave your names in the comment box when checking out. 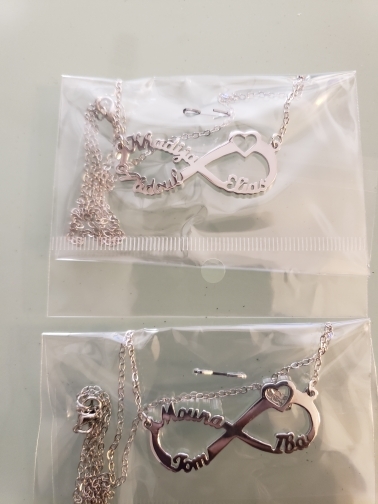 Thank you for getting it to me in time for Mother's day!!! Great work!